Established in 2009 and situated in the center of Mt. Carmel in the modern city of Haifa, Israel, Kerem-El is a vibrant, Hebrew-speaking Messianic congregation, that is dedicated to teaching the Word of God, to lifting up prayer and praise, to reaching out to locals with the Gospel of Yeshua the Messiah and to making disciples. Cultivate community: we desire to cultivate a loving, diverse and dynamic community through the means of scriptural teaching, practical help for the needy and regular congregational activities and gatherings. Equip people: it is our goal to equip the members of our community for personal growth and spiritual maturity through discipleship, mentorship and counselling programs. Impact Haifa: understanding that we are called to be salt and light, we strive towards the active pursuit of a positive social and cultural change in Haifa and its surroundings, through the means of outreach events and special voluntary projects. Daniel Sayag was born into a secular Jewish family to parents who made aliyah (immigrated) to Israel around 1950, from Iraq and Algeria. While they were not a religious family, they were traditional, ate kosher, and attended synagogue on holidays. “Dani” grew up believing that the Tanach (Old Testament Scriptures) was the Word of God. In 1988, while serving in the Israeli army, Dani understood through the reading of Isaiah 53 and Jeremiah 31, that Yeshua was the promised Jewish Messiah. Dani founded Kerem-El Congregation in 2009. He and his wife, LuAnne, live in Haifa, and have 3 daughters and 2 grandchildren, all living in Haifa. Jonathan is a native Israeli who came to faith in Yeshua in 2002, and ever since has been serving the Lord in various areas of ministry. Today Jonathan serves as one of the pastors at Kerem-El Congregation in Haifa, and as an adjunct teacher at Israel College of the Bible in Netanya. 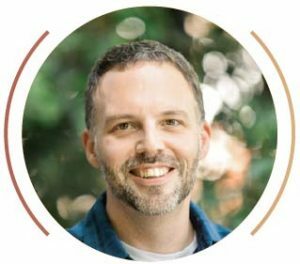 Jonathan has graduated with a Bachelor’s degree in Biblical Studies from Moody Bible Institute in Chicago, and is currently finishing his Master’s degree in Old Testament Studies at Bar-Ilan University in Israel. Jonathan’s passion is to fulfill his calling to shepherd the flock at Kerem-El, through systematically preaching and teaching the Word of God, and through close and personal care of each member in the congregation. Born in Auckland, New Zealand, Stefan immigrated to Israel in 1992. While serving as a combat officer in the 2nd Lebanon War Stefan experienced God’s supernatural power and protection in a life-changing way. In 2008 he married Keren, an Israeli-born worship leader and song writer. 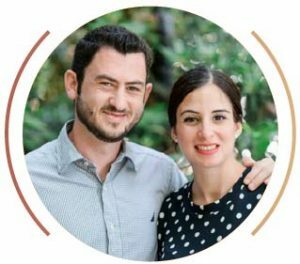 Together they have ministered at Kerem-El congregation through teaching and worship since its founding and Stefan currently serves as one of the pastors. Stefan & Keren have three beautiful daughters all born in Haifa. Stefan Holds a BA in Economics & Management and an Executive MBA from Haifa University. 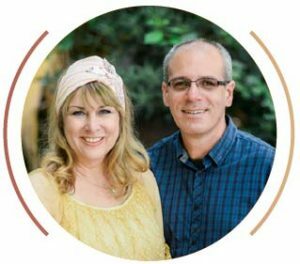 Keren holds a Masters degree in Messianic Counselling from Israel College of the Bible and leads a national counselling center that serves the entire community of believers in Israel. They both are passionate to serve the Kerem-El community and to see word of God proclaimed in Israel out to the ends of the earth. We believe that all the books of the Bible (the books of the Old and New Testaments) were written under the full supervision of God and inspired by His Spirit, and therefore are the trusted Word of God, which has supreme authority over all matters of faith and life. We believe in one God, the God of Israel, who is and only exists uniquely as one, complex and perfect unity. That He always has been and forever will be three who are one: the Father, Jesus, and the Holy Spirit; Who are essentially equal, even if they differ in their roles. We believe that the Father is greater than all, and above all, the eternal and invisible Lord of the Universe, who created everything that exists in His Holy Spirit through Jesus and for Him. We believe that the whole earth and all that is in it belongs to Him and that all of it is His kingdom. That he controls all with love and might, and that every created being will be judged for their actions. We believe that the only way to know the Father and come to Him is through Jesus, His Son. We believe that Jesus is the eternal Son of God and Lord of all, the visible image of the invisible God, through Him and for him the Father created everything that exists. We believe that when the time came, some 2,000 years ago, Jesus emptied himself of honor and became one of us to reconcile us to the Father and open the door to His kingdom. He came as the Son of David and the Messiah of Israel as promised in the prophecies of the Bible, gave his life to atone for the sins of all mankind and for the eternal life of all who believe in Him. He will return with honor to reign overn the earth and renew the creation. We believe that the Spirit of God is the eternal Holy Spirit that hovered over the waters at the time of the creation of the world, through which God gave life to all, and which is the Spirit that God promises to place in every person who comes to Him through Jesus. We believe that the Spirit is the unlimited presence of God, who is now working in the world to convict people of sin and to guide them to Jesus, and to carry out the will of God with valor. We believe that the Spirit of God revived Jesus from the dead and will do the same for us after our own death at the end of the age. We believe that God created everything that exists, seen and unseen, and that everything created was very good at creation, and that God gave human beings the right and responsibility to govern with Him in all His hands. But we also believe that because humans rebelled and still rebel against God, they are unable to govern properly, and therefore all creation suffers and is not as it should be. We believe that Jesus comes to renew creation and restore it to its true destiny as God’s wondrous kingdom, and to restore people to their true destiny as rulers with God in creation. We believe that man is the wondrous masterpiece of the creation of God. From all that God created, only man, man and woman, He created in His image and likeness, so that He might be judged together with Him in all His works. Therefore we believe that man’s true destiny is to live in partnership of love and action together with God, and to reign together with Him forever in all that exists. We believe that humans chose to rebel against God and the role they were given, from Adam and Eve in the Garden of Eden to the present, and are therefore unable to fulfill their purpose in creation. We believe that through Jesus we can put an end to rebellion, find peace with God, and return to the destiny for which we were created. We believe that the people of Israel are the Jewish people – the descendants of Abraham, Isaac and Jacob, who live in the Land of Israel and beyond. We believe that the people of Israel were uniquely chosen by God to be unto Himself a kingdom of priests and a holy nation, through which all the families of the earth will be blessed. We believe that God’s election in Israel is eternal and unchanging, and that despite the rebellion of the people of Israel and its many sins, and despite the rejection of Jesus as Messiah and Redeemer, God has not abandoned His people. We believe that both Jews and Gentiles can find atonement and eternal life only through Jesus, and that in time the Jewish people will repent to God, and recognize Jesus as the Messiah and Lord, and thus all Israel will be saved.